After my wee panic about lack of preparations for our family Christmas, I am pleased to report that I have tackled most of the food shopping. I have even made a modest stab on the food making front, too. Presents aren’t wrapped but I do have a few dishes tucked into the freezer. 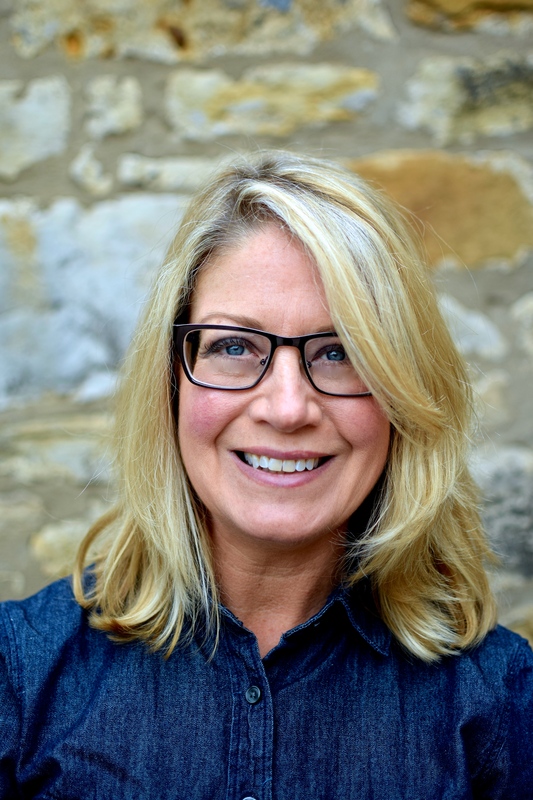 So, now that I have just finished with all my ‘Maggie’s cooking’, I am counting on the exceptionally organised and calm Miss R to help me with the remaining tasks. This includes how to make three pomegranates, a bag of red Brussels sprouts tops, chillies and other random produce into a festive centrepiece without it looking like I forgot to tidy up after myself. Kirsty Allsop I am not. I am not usually keen on mint flavoured chocolate things. To my taste the usual festive brownies, cookies, cocoa mixes, truffles etc tend to be overly sweet, and/or overly minty with peppermint extract. But I think I may have changed my mind, at least in this guise. 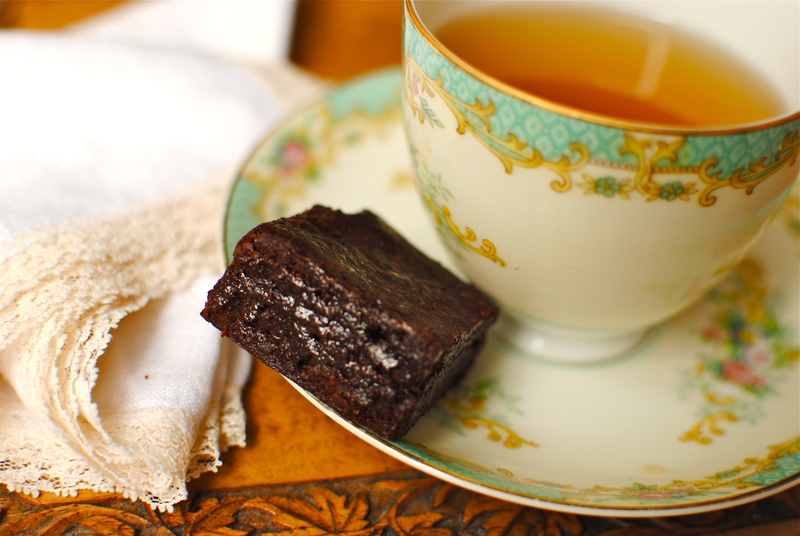 To me this brownie is a perfect balance of dark chocolatey cocoa and just a hint of smooth mint infused fondant. To do this I introduced a layer of mint chocolate thins from a box that had been waiting for just such a re-purposing. The mint fondant caramelises enticingly during the baking process, slightly crisping the edges with minty sugar, but keeping everything supremely dense and fudgy. This savoury-phile may just be converted. 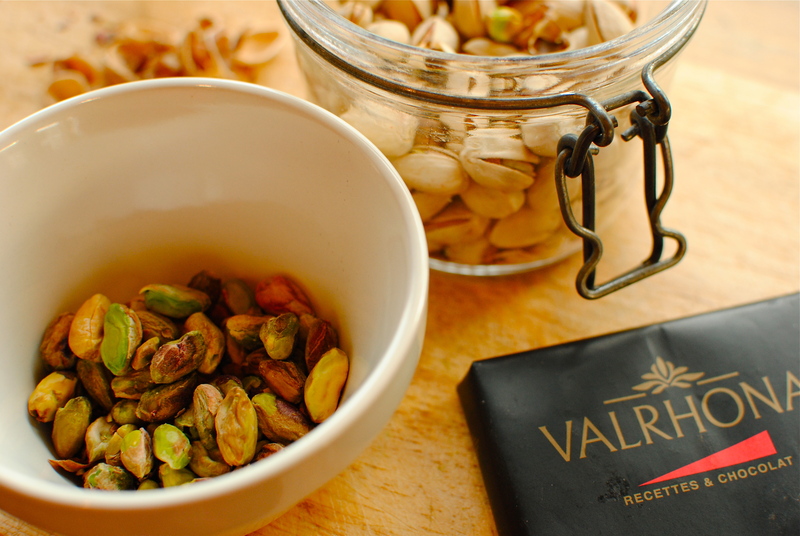 Truly delicious especially with a cup of mint tea. Make mine a Teapigs. The basic recipe for these truly outstanding brownies comes from Alice Medrich’s Bittersweet. Adaptations of this corker of a recipe abound on the Internet and my plain version is really just a mint-free take of the festive one, below. I have tinkered slightly with the original Medrich recipe to make it a tad firmer, easier to cut and slightly less sweet, but her instructions are very clear so I have adapted these only slightly. I haven’t even tampered much with the butter content as that is what helps make this brownie so special. I’m not, this once, trying to make a cake into a health food. No beetroot or carrots here. You can probably tell by the mere hint of flour that these are not a cake-like brownie. 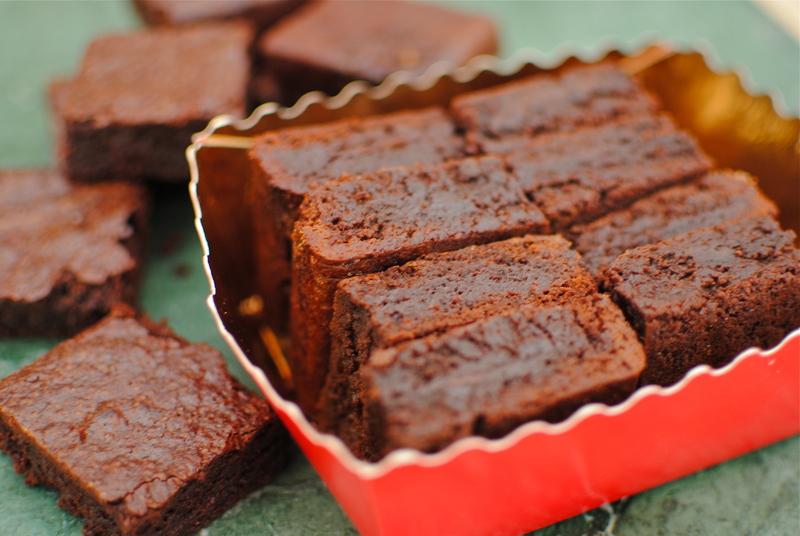 So, if you like your brownies more like fudge, all chewy and dark, this is your recipe. Here is the original, on Epicurious, for reference. Position a rack in the lower third of the oven and preheat the oven to 170C. Oil and then line the bottom and sides of an 8×8-inch square baking pan with parchment paper, leaving an overhang on two opposite sides. 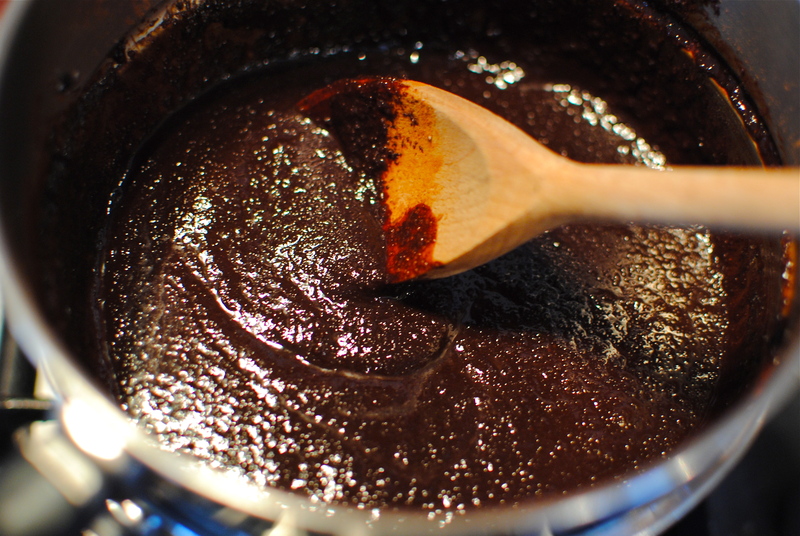 Combine the butter, sugar, cocoa, and salt in a medium heatproof bowl and set the bowl in a wide skillet of barely simmering water, or in a double boiler . Stir from time to time until the butter is melted and the mixture is smooth and hot enough that you want to remove your finger fairly quickly after dipping it in to test. 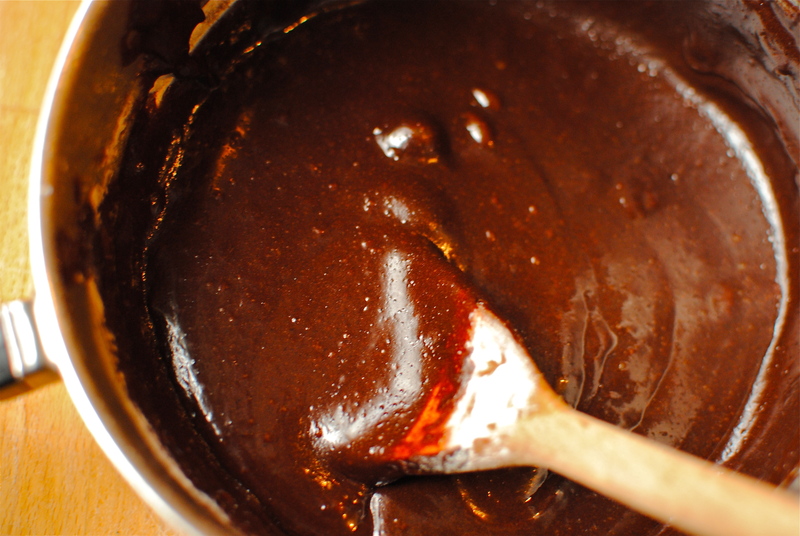 Remove the mix bowl/pan and put aside briefly, until the mixture is only warm, not hot. It looks quite gritty and sludgey at this point, but don’t worry — it smooths out once the eggs, flour and a bit of elbow grease are added. Stir in the vanilla with a wooden spoon. Add the eggs one at a time, stirring vigorously after each one. When the batter looks thick, shiny, and well blended, add the flour and stir until you cannot see it any longer, then beat enthusiastically for 40 strokes with the wooden spoon. You’ll get a workout. Spread half of the mixture evenly in the lined pan. 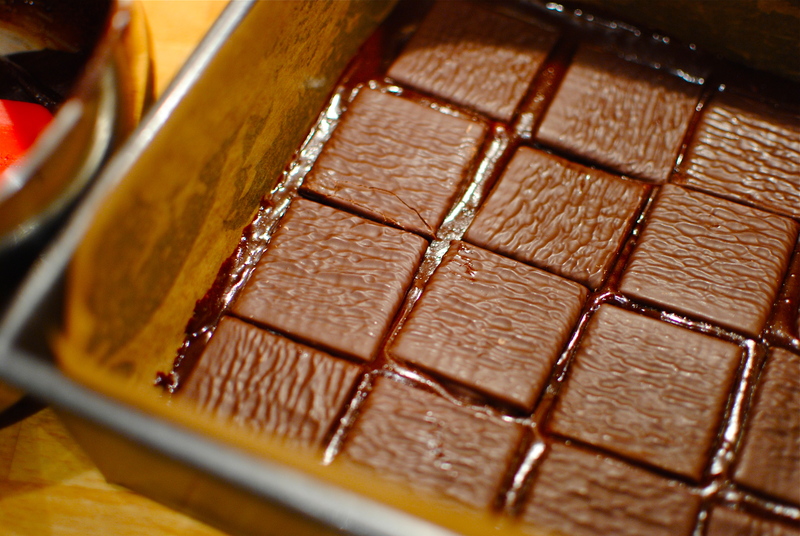 Lay down the chocolate mint squares and cover with the remaining mixture. I find it easiest to pour it along so that it makes rows of ribbony mixture and then gently encourage it around with an oiled rubber spatula. Bake for 25 minutes. If you decide to do this without the mints it will take more time to bake – 30 minutes. This is because the fondant seems to speed up the baking by raising the temperature of the mixture. Let cool completely on a rack in a cool place. If your rooms are warm, perhaps pop the pan in your refrigerator or freezer. It is much, much easier to cut when cool or cold. Lift up the ends of the parchment, and transfer the brownies to a cutting board. Peel off the paper and cut into 16 or 24 squares. The fondant firms the brownies more than the plain recipe, making it straightforward to cut. Use a plastic knife if you have one, as you’ll get more even lines – if you care for that kind of thing. 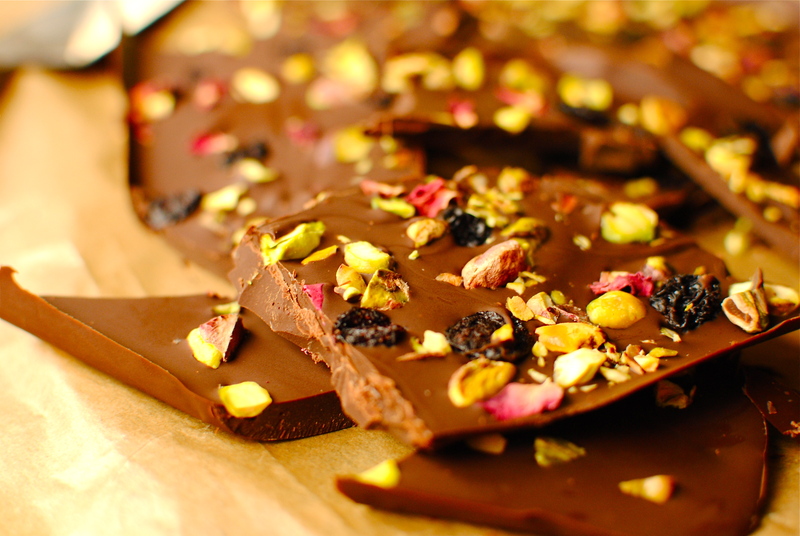 Chocolate bark in all its various fruit, nut and spice variations is a popular Christmas treat in the US, but not so elsewhere. I think once any of you ‘newbies’ to bark see how easy this is you might be tempted to try it for yourself. All you do is melt chocolate with a touch of oil, pour it into a parchment paper-lined baking tray (rimmed!) and strew over anything you like – the more the better. Let it set and harden before cutting or snapping pieces to eat or store. Told you it was easy! 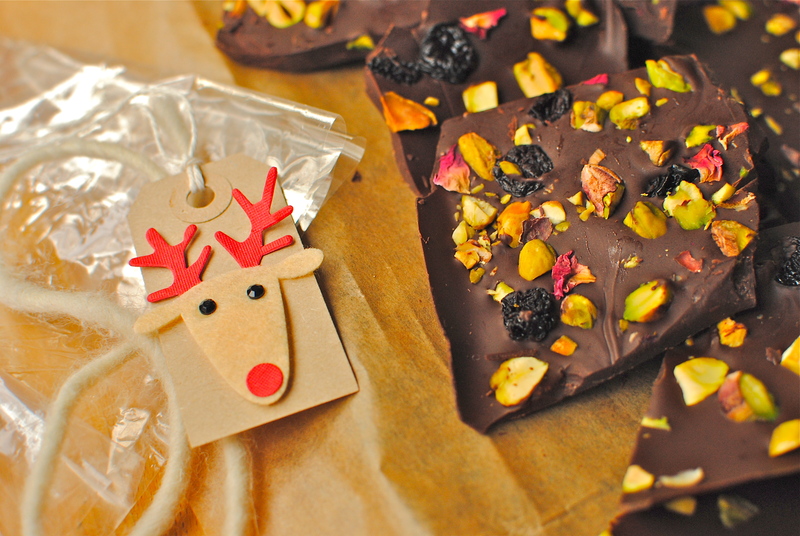 Detailed below is what I do, but really use anything that you like – crystallised ginger pieces, orange water to flavour the chocolate, flaked coconut (not the desiccated stuff please), cocoa nibs, pink peppercorns, crushed candy canes, angelica, glace fruits, toasted pecans. You name it. 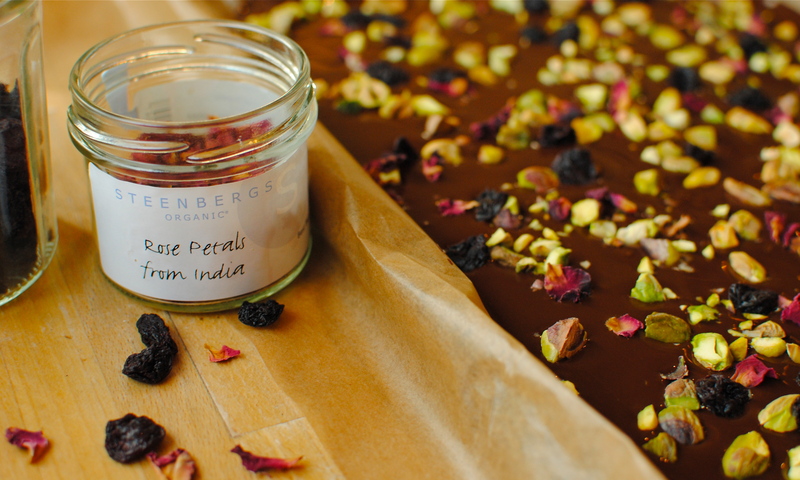 Melt the chocolate pieces with 1 tsp of oil and the rose water – if using – in a double boiler or a bowl set over a pan of simmering water. Pour the chocolate evenly onto a parchment paper-lined baking sheet, spreading with an offset spatula or with a rubber spatula. 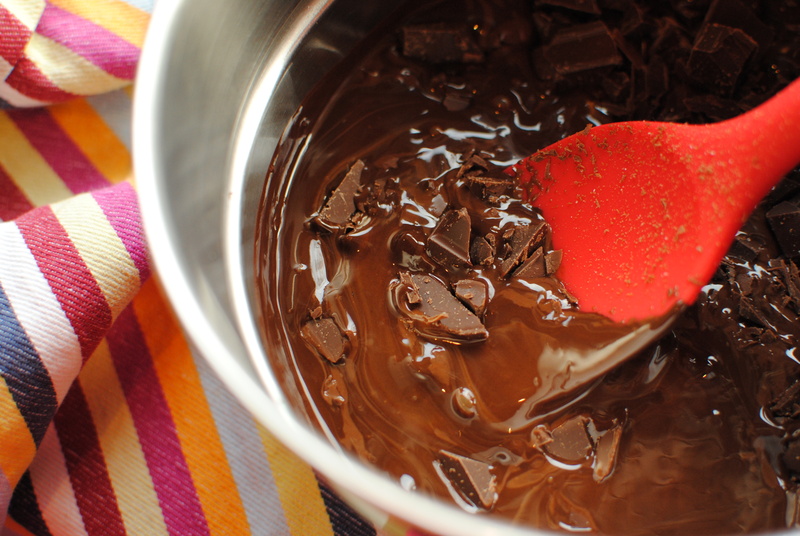 Scatter the remaining ingredients over the chocolate. Move the tray to a cool place, or your refrigerator, and let the chocolate completely re-harden. Now either cut into even squares or be true to the Bark in the title, just whack it randomly into large shards, like peeled bark. This makes a really gorgeous gift, or special treat for yourself. All brilliant ideas. Thanks for a year full of colourful and delicious recipes, you are so kind to share them with us all. Have a wonderful Christmas and excellent 2012! Thank you Niki. It’s been a pleasure. Happy Christmas to you and your gorgeous foodie family. And I had to tell you, your teacup and saucer is beautiful! I hope you have a wonderful day. See you in the new year. 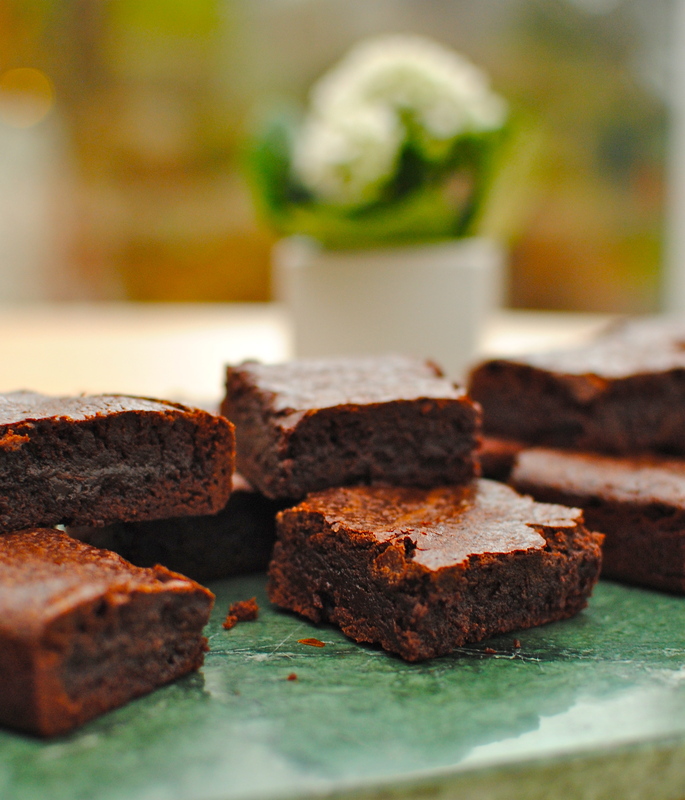 Love those after 8 brownies – v. clever. I’ve looked at ‘bark’ but it’s never really appealed, maybe one day.